BUSSUM (Neth.) - Former national team and HCAW-pitcher Rob Hoffmann passed away on Friday, September 17, eleven days after he turned 71, after having been ill for quite a while. On Thursday, September 23, from 7:00 - 8:30 PM, there is a possibility to offer condolences to Rob Hoffmann's family at Monuta, Nieuwe Hilversumseweg 59 at Bussum. Almost exactly six years ago (September 19, 2004), his club HCAW organized the Rob Hoffmann Day to honor its former pitcher. On this day, Hoffmann unveiled a photo-memorabilia of his pitching days for HCAW, where he was a club-icon. Hoffmann was one of those players, who remained with his club, whatever happens. And he did for his entire career. While he played a major part as the ace pitcher in the HCAW-squad, Hoffmann always remained modest, but he and his teammates worked hard in the sixties to accomplish a goal: reaching the big league with HCAW. The road to the big league began when the team promoted in 1962 from the Second Division to the so-called Overgangsklasse. A year later, the team reached the First Division and then in 1966, Hoffmann led HCAW to its ultimate goal: the Dutch Major League. 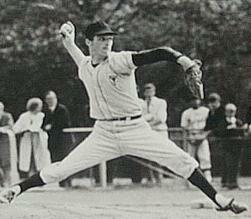 On September 11, 1966, righthanded pitcher Rob Hoffmann went the distance in a deciding game for HCAW against Storks. He threw a 2-hitter, struckout ten and HCAW promoted to the Dutch big league, where it has played in since 1967, with excemption of the 1983 season. Rob Hoffmann started his career in 1955 and since then remained playing for HCAW until his retirement after the 1972 season. He played in six seasons with HCAW in the highest league, appearing in 80 games. The righthander won 29 games and struckout 529 batters in 572 innings, ending his career with a 2.03 ERA. In 1967, Hoffmann led the Dutch Major League in his first big league-season with 126 strikeouts and in 1969, he had the best ERA with 1.00. Hoffmann had an outstanding control as he walked only 93 batters in his big league-seasons. In 1961, Hoffmann and HCAW were one win away from promotion to the Overgangsklasse. Playing against rival De Hazenkamp, Hoffmann struckout 15 batters and threw a No-Hitter, but ended up as the losing pitcher! In that game, with a runner on third base, Hoffmann made a late throw to first base, which would have been the third out, but now led to the lone run in the game. Shortly thereafter, playing at Soest, HCAW and De Hazenkamp had to play an one-game Play-Off to decide the championship. Hoffmann threw again and went the distance, throwing 15 innings in which he struckout 29 batters! The game was scoreless after 14 innings and it started to get darker, as the playing site had no artificial lights. The umpires decided that only one more inning would be played and that would be dramatic for HCAW, as De Hazenkamp scored one run, won the game and promoted despite the fantastic outing by Hoffmann. The next year, Hoffmann and HCAW were more successful, as they promoted to a higher division themselves. While playing for the Dutch National Team, Hoffmann appeared in 12 official games. Hoffmann once stated that being chosen for the national squad was a highlight for each and every game. After making his debut in the national squad at age 20 in 1960 (while playing in the Second Division), he participated in three European Championships (1960, 1962 and 1964). In all three these events, played respectively in Barcelona (Spain), Amsterdam (Netherlands) and Milan (Italy), the Dutch Team captured the European title. 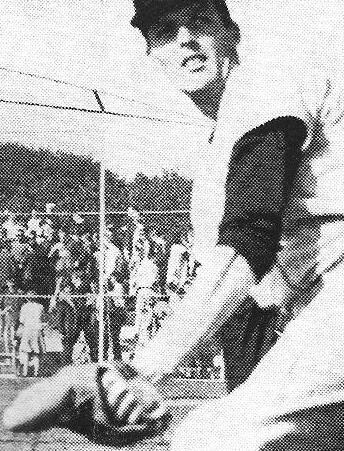 Hoffmann also participated in the first three Haarlem Baseball Weeks (1961, 1963, 1966) amongst other events. Hoffmann also traveled to the Netherlands Antilles with the Dutch squad in 1967. 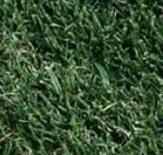 He was named Best Pitcher during the European Championships of 1962 and 1964. During this last event, Hoffmann combined with Herman Beidschat in throwing a Perfect Game against Spain with the two combining on 12 strikeouts. In 1965, he missed the European Championship due to an arm-injury. How much Hoffmann was loved by his club HCAW was underscored in 1960. When the Dutch National Team arrived on the airport of Barcelona for the European Championship, Hoffmann was welcomed there by a big group of Bussum-supporters, who had traveled to Spain. In the final of the 1962 championship vs. Italy, Hoffmann relieved starting pitcher Herman Beidschat, who felt ill, in the sixth inning, trailing 4-3. Hoffmann didn't gave up a hit and ended up as the winning pitcher, as the Dutch Team went on to win 9-4. Besides his activities in baseball, Hoffmann also enjoyed music very much and was a member of a successful dixieland-band in Bussum. On May 3, 1984, Hoffmann was elected in the Dutch Baseball and Softball Hall of Fame. Copyright © 1997-2010 Marco Stoovelaar / Grand Slam * Stats & News.